Lymphoedema is a chronic swelling of a limb or body region and is associated with significant morbidity, loss of function and, on rare occasions, mortality. Poor management of lymphoedema can have detrimental effects on a person’s physical and psychosocial health. Pain and discomfort are frequent symptoms, and people with lymphoedema have increased susceptibility to acute cellulitis, requiring hospitalisation and antibiotic therapy. 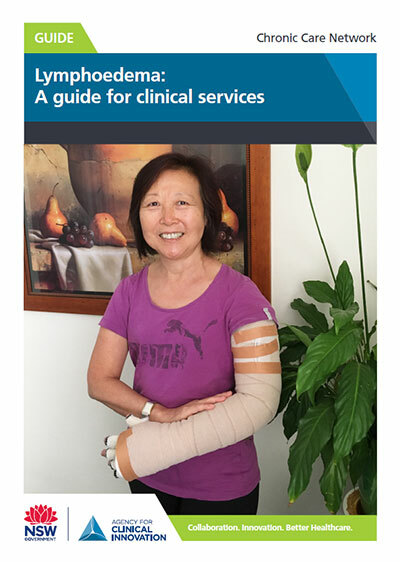 This document will provide guidance for local health districts, speciality health networks and health professionals to support optimal care for people affected by lymphoedema across NSW.